We stock a wide range of velvet ribbons and chenille ribbons to create this vintage and warm look. 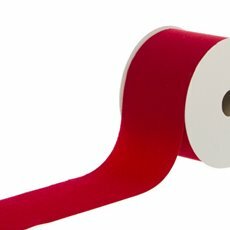 Use our velvet ribbons for your craft projects, to decorative your gift boxes or simply to embellish a hamper. Buy your velvet ribbons online today at wholesale prices and we’ll deliver to you anywhere in Australia in no time.